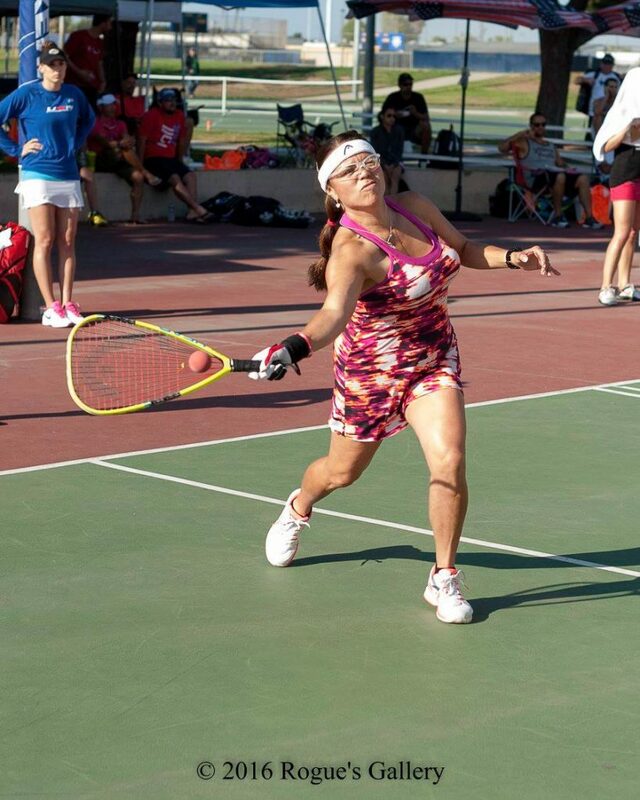 I am a pro player, coach, tournament organizer, and a board member on the California Junior Association, San Diego Court Sports Association, and the Racquetball Hall of Fame Committee. 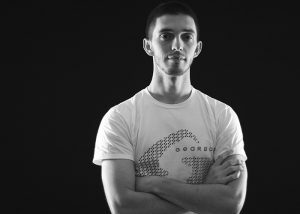 The local racquetball player who is trying to re-grow interest in a sport that has been on the decline. Only played the last year I was eligible. I was introduced to the sport because my parents played. They were advocates for exercise and quality family time. My older siblings played racquetball at school and told my parents about the sport. It was when racquetball was booming in San Diego (Marty Hogan Era). We would normally go to a school site after school hours and play tennis with my family/Mom. When my Mom started to play racquetball she loved it! She especially loved the fact that she could play, even when it rained (unlike tennis). My siblings and I started out playing each other and rotated playing my Mom. We eventually got better and started playing in tournaments. There were 4 of us younger siblings that competed the most. 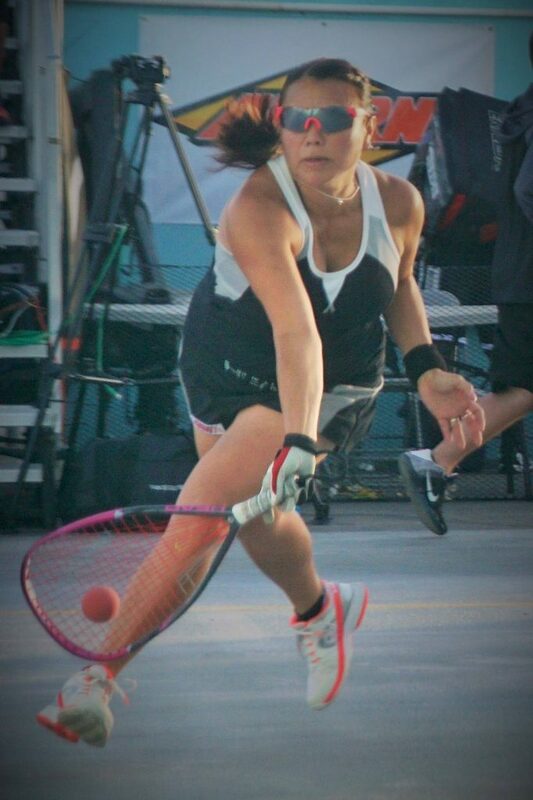 I have 5 other siblings that dabbled in racquetball before they started families/careers. Us 4 younger siblings excelled in racquetball. I remember one tournament when all of us were in the semis of the Men’s C Division. I continued playing seriously (pro and US Team). Also, 2 of my siblings made the US Team at one point with me. I love the community of racquetball players. I have made several friends over the years, both nationally and internationally. They are such wonderful people. HEAD/PENN has been the best company to represent. Doug Ganim appreciates what I have accomplished and what I continue to accomplish. They have the best equipment, hands down, from the shoes to the racquet! Ashaway is another company that has been great to me. Steve Crandall has developed awesome string that gives me the extra edge I need. The PowerKill string has lots of power, as well as control. I string my racquets at 34/33. I absolutely love the US Open. 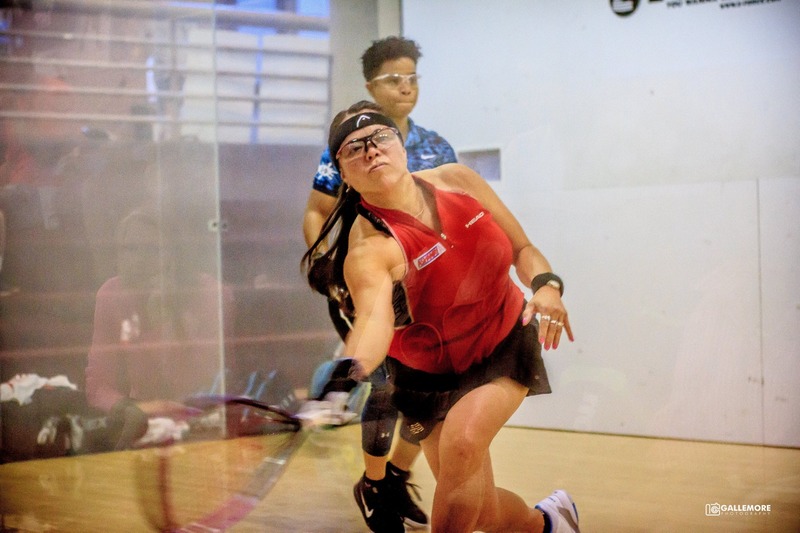 It is “hands down” the best event out there for racquetball. I also enjoyed playing in the Olympic Festival. I run junior events in San Diego. My brother and I have run several events in San Diego over the years. World Championships – several other gold medals for Womens’ overall and Team overall. 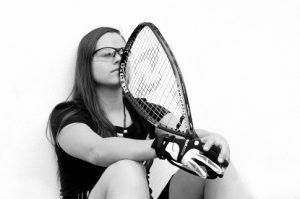 Para Educator in the Intensive Outpatient Program in Ramona School District, Junior Racquetball Instructor at World Gym, Racquetball Instructor and Home Health Care Provider. Married to husband, Michael Larsson. Have daughters, Danielle and Raelynne. Have grandsons, Wolfgang and Dean. Gold medals in Paddleball and Pickleball. I love playing indoor soccer, but only competed at high rec level. Have more incentives for women. A lot of women have children and find it difficult to leave the home. Making it easier for them to travel and compete would help. Less days scheduled would make it more feasible for some women to compete. My hope for the future of racquetball is to keep it alive and thriving. I have seen a decline in the popularity and participation. Clubs are getting rid of courts. I have to travel further to play/practice. I travel an hour to teach at my junior academy. I would like to see a come back of the sport where clubs are building courts instead of tearing them down. The grassroots (juniors, schools, programs) is the best way to grow it. I see other countries, such as Mexico with courts filled with children playing racquetball. The women & men pro players have also grown. Well, the Olympic Festival was an amazing event. Just the name of it alone is prestigious. I met many Olympians there. It was an event that US athletes strived to qualify for. Thirty-two total went to it. It no longer exists, unfortunately.